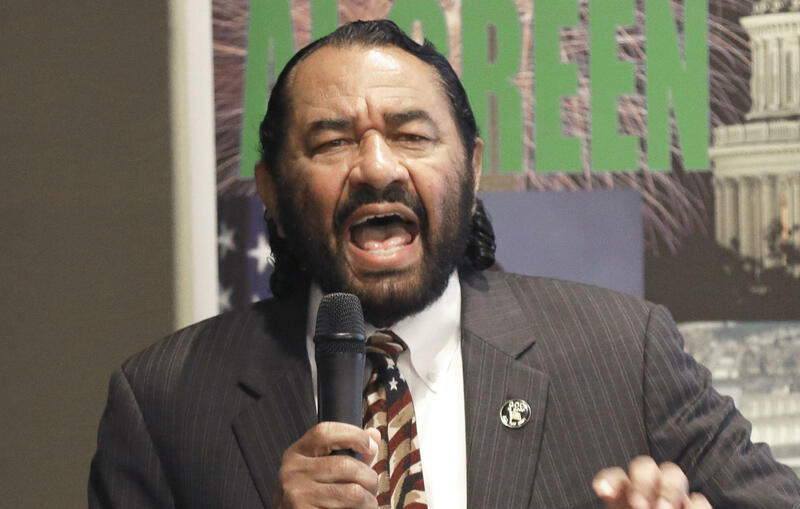 HOUSTON -- A black Texas congressman said Saturday that he's been threatened with lynching by callers infuriated over him seeking impeachment of President Trump. Rep. Al Green, a Democrat, held a town hall meeting and played recordings of several threatening voicemails left at his offices in Houston and Washington, the Houston Chronicle reports. The seven-term Democrat told the crowd of about 100 people that he won't be deterred. "We are not going to be intimidated," Green said Saturday in southwest Houston. "We are not going to allow this to cause us to deviate from what we believe to be the right thing to do and that is to proceed with the impeachment of President Trump." Do latest Trump revelations qualify as obstruction of justice? One male caller used a racial insult and threatened Green with "hanging from a tree" if he pursues impeachment. Another man left a message saying Green would be the one impeached after "a short trial" and then he would be hanged, according to the recording. Green took to the House floor on Wednesday to say he believes Mr. Trump committed obstruction of justice and no one's above the law. Mr. Trump, a Republican, has dismissed criticism of his firing of FBI Director James Comey amid the agency's investigation of possible links between Russia and Trump campaign associates. Green said he wanted his constituents to be aware of the hateful calls he's since received. "When a person talks about lynching you, we think that's a pretty serious threat," said Green, a former president of the Houston branch of the NAACP, according to his congressional website. "When a person talks about lynching you, we think that's a pretty serious threat," he said, according to the Chronicle.